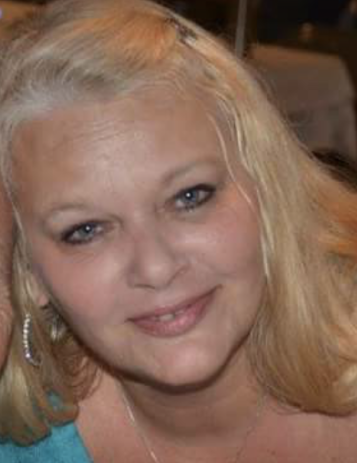 Raschel Lynn Howard (Shelly), age 51, of Wilmington, passed away peacefully at home on February 7th, 2019 at 8:25 am, after a long and hard-fought battle with cancer. Shelly was born on January 22nd, 1968 and graduated from Goshen High School in 1986. She is the daughter of Morris (Connie) Howard, of Blanchester, and Linda (Gene) Stevens, of Goshen. In addition to her loving parents, Shelly is survived by her significant other - Michael Geichman, of Wilmington; her daughters - Lara Gates, Amy Bryant, and Danielle Cook; her granddaughters - Violet Gates and Emma Bryant; her grandson - Zander Caudill; her brothers and their wives - Rob Howard, Jerry (Yvette) Lykins, and Jason (Lesley) Lykins; her sister - Erica (Kelman) Johnson; former husband and close friend, Curtis O’Bryant; and many nephews, nieces, cousins, aunts, uncles, and friends. The funeral arrangements will be held on Saturday, February 16th beginning with a visitation from 3:00-5:00 pm and services to follow, located at the Fisher-Edgington Funeral Home (97 West Locust Street at North Mulberry Street, Wilmington). There will be a Celebration of Life after the services, held at the American Legion in Loveland (897 Oakland Road, Loveland) from 7:30-11 pm. All friends and family are welcome to come. Shelly’s ashes will be distributed amongst her 3 surviving daughters and Treasure Island, Florida.